Sprinkler Installation - Western Irrigation, Inc.
Western Irrigation is a full service company that will take you through your sprinkler installation process from start to finish. Since 1975 Western Irrigation has been designing and installing lawn sprinkler systems for both residential and commercial properties. Western Irrigation will install a quality lawn sprinkler system in a professional and timely manner designed specifically for your properties needs with no damage to your lawn or landscape. Western Irrigation is a full service company that will take you through your sprinkler installation process from start to finish. From obtaining the necessary permits, contacting J.U.L.I.E to locate utilities on your property, arranging and performing all necessary plumbing work to final inspection of your sprinkler system. Western Irrigation uses only the highest quality products and backs our newly installed sprinkler systems with a five year warranty. 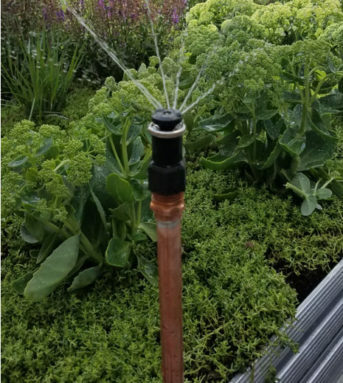 Your new sprinkler system also comes with a complementary one year maintenance contract which includes one “winterization” and one “spring start up”. Our foremen have over 60 years of experience and you will find that the passion for their job and quality of their workmanship is unmatched because they will never cut corners. Western Irrigation has installed thousands of systems in the Chicago land area and we look forward to having you as another one of our satisfied customers.